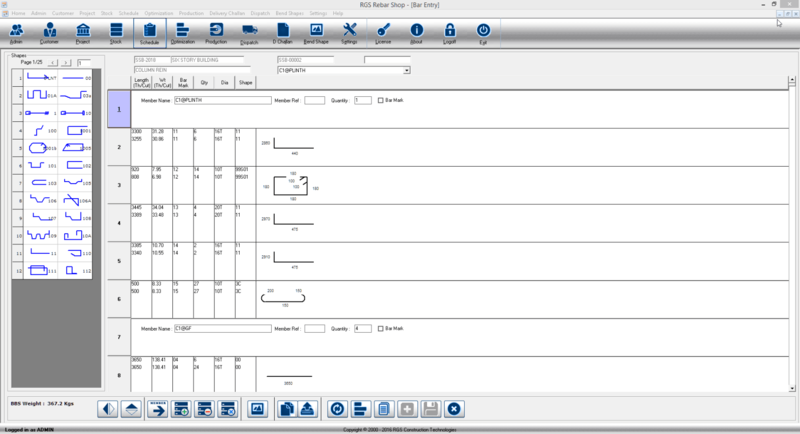 RGS REBAR SHOP is a Rebar Production Software, designed to suit the requirements of Professional Rebar fabrication using CNC machines. 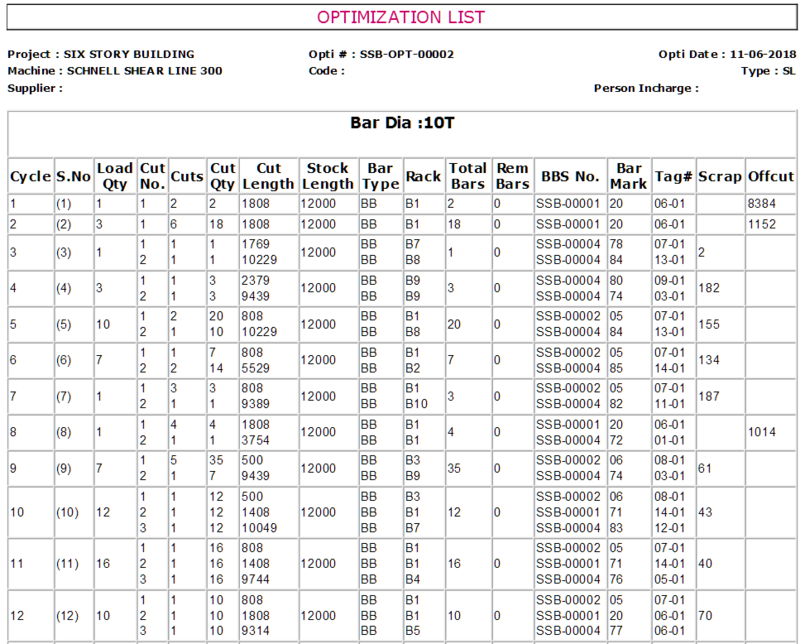 If your factory/shop wants to effectively reuse the offcut bars and minimize scrap, then we have the best solution. The heuristic algorithms in our product is refined after years of testing in the busy Fabrication shops. 3. Reuse Offcut Bars: Our heuristic algorithms optimise the Rebar usage by carefully reusing Offcut bars and minimises scrap Levels. 4. 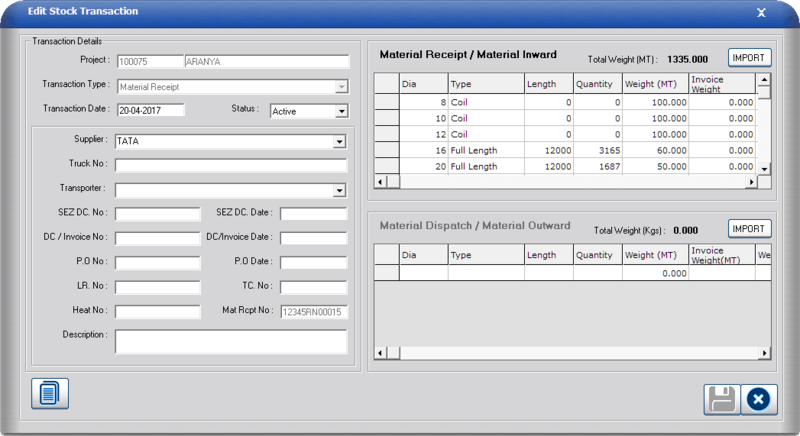 Optimization: Rebar shop software directly transfers the cultist into shearlines. 5. 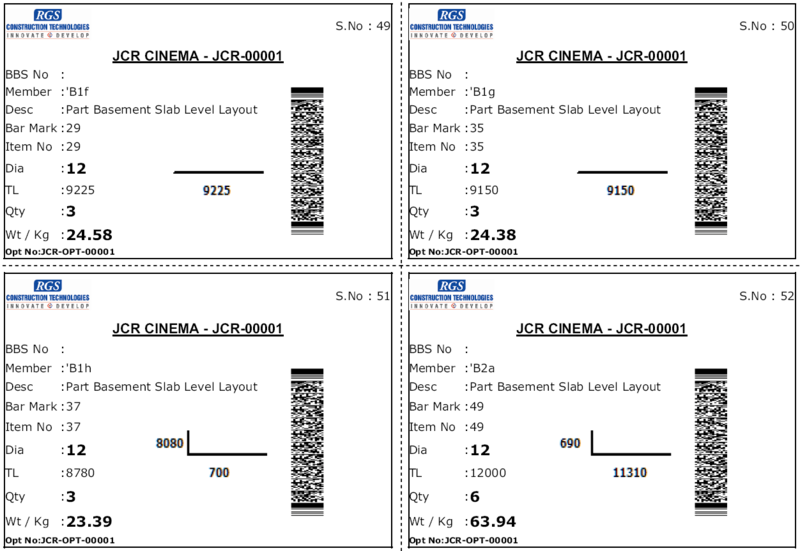 Print 2D Bar Tags: It can print 2D Bar tags that can be read by scanners. So, it’s easy for the Bending machines (Including coil benders) to just scan the Tag and Bend.